Gillian Anderson and David Duchovny will reprise their roles as Dana Scully and Fox Mulder in The X-Files limited series. Everything old really is new again. Even aliens. 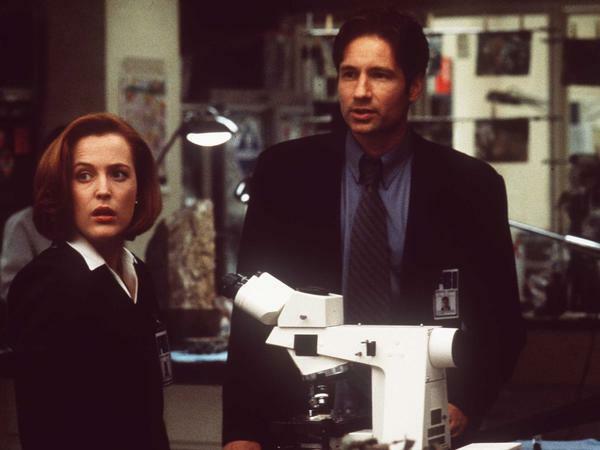 Fox announced today that The X-Files, which ran on television from 1993 until 2002 and was accompanied by feature films in 1998 and 2008, will be back as a six-episode "event series," with production beginning this summer. Creator and Executive Producer Chris Carter will be in charge once again, and yes, Mulder (David Duchovny) and Scully (Gillian Anderson) will be, too. In the statement Fox sent out today, Carter refers to the show's absence as "a 13-year commercial break" during which "the world has only gotten that much stranger."